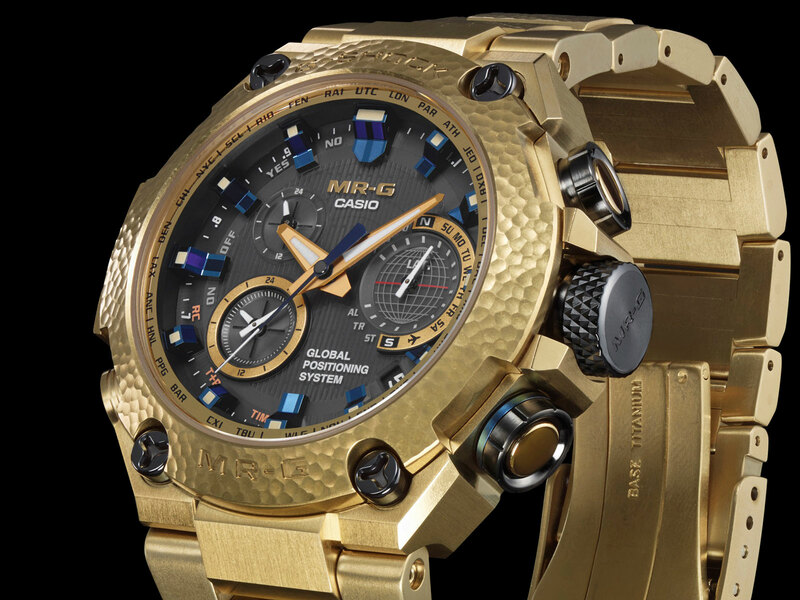 The MR-G Hammer Tone is Casio’s most expensive G-Shock, an impressive piece of technology that’s also decorated meticulously by hand – and it just got an impossibly striking, all-gold facelift that might make it the coolest G-Shock ever. 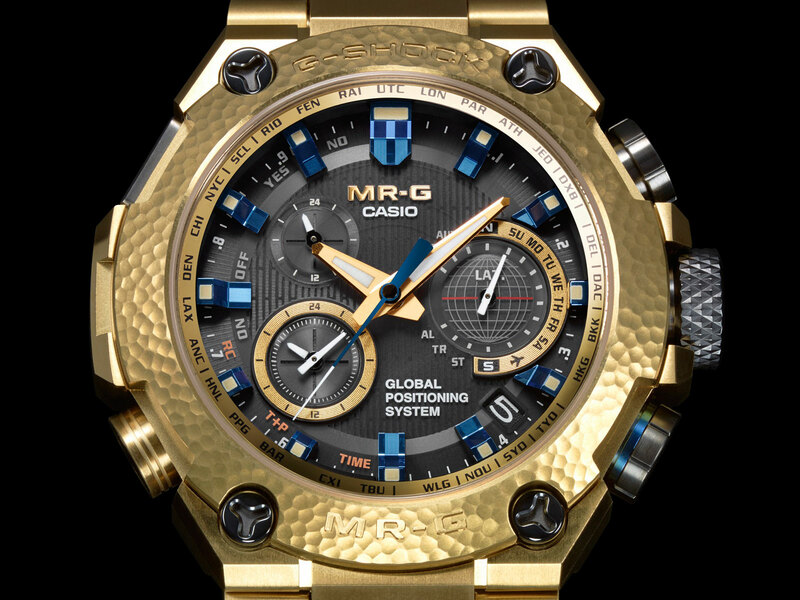 Boasting dozens of functions ranging from GPS time sync to stopwatch, the MR-G Hammer Tone is powered by an 18-month battery charged by solar cells. But more importantly Hammer Tone is also a example of traditional craftsmanship, with the bezel and bracelet finished with tsuiki, a thousand-year old Japanese technique of hammering copper ware to make it more resilient. 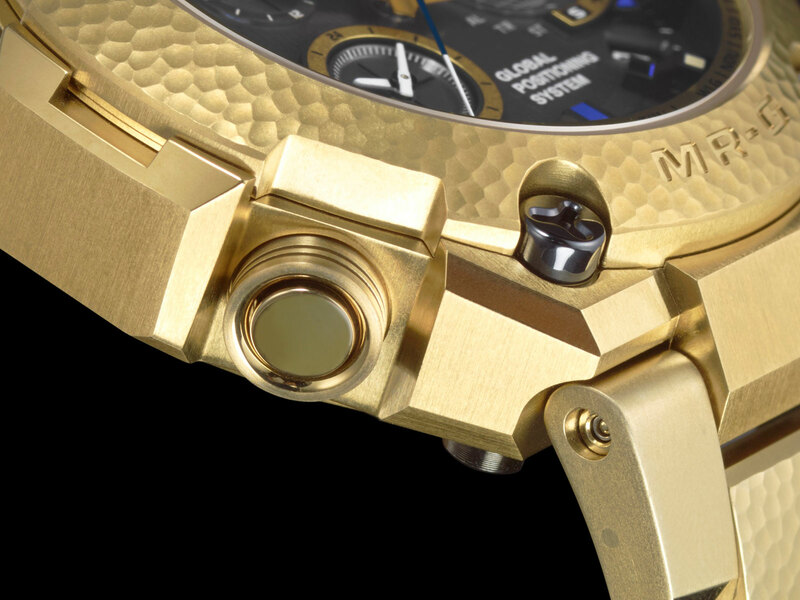 First introduced in titanium with a silvery finish, the Hammer Tone is now gold in its entirety. 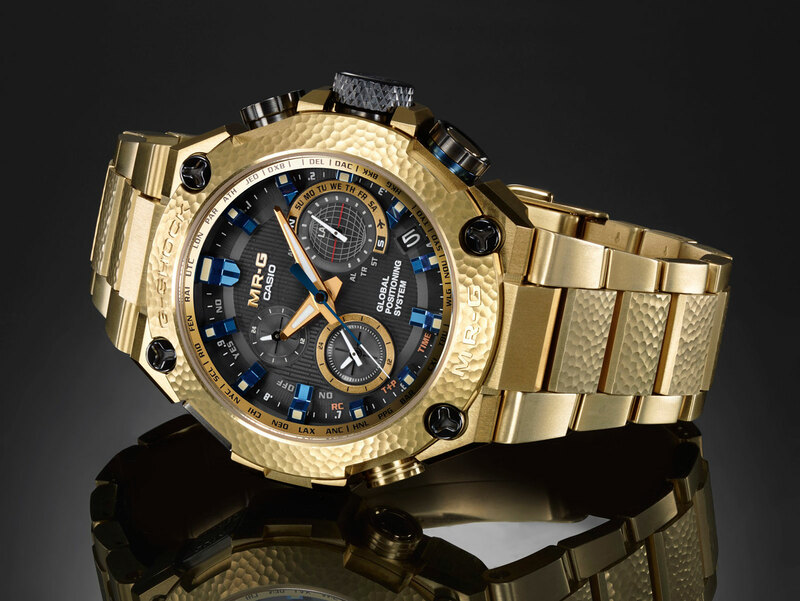 The G-Shock MR-G Gold Hammer Tone is decorated with the same traditional hammered finish, but finished with a gold coating. 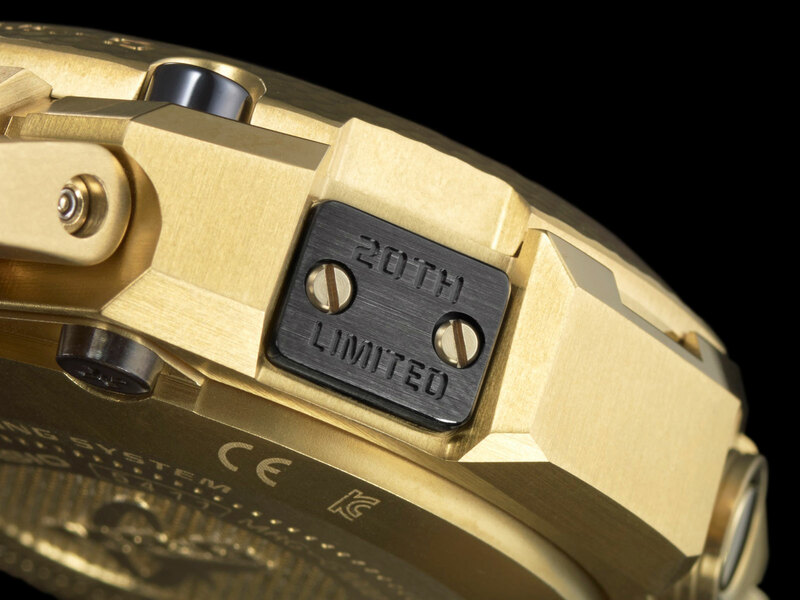 The gilded finish is matched with a bright blue coating on the hour markers and seconds hand. The hammer finished is done in exactly the same way as before by Bihou Asano, a Kyoto-based artisan who’s the third generation of his family to specialise in tsuiki. Asano decorates every component by hand with tools specially developed to accommodate the smaller size of the bezel and bracelet links. While the look of the new MR-G Gold Hammer Tone differs strikingly from the original, it is identically sized and features the same specs. 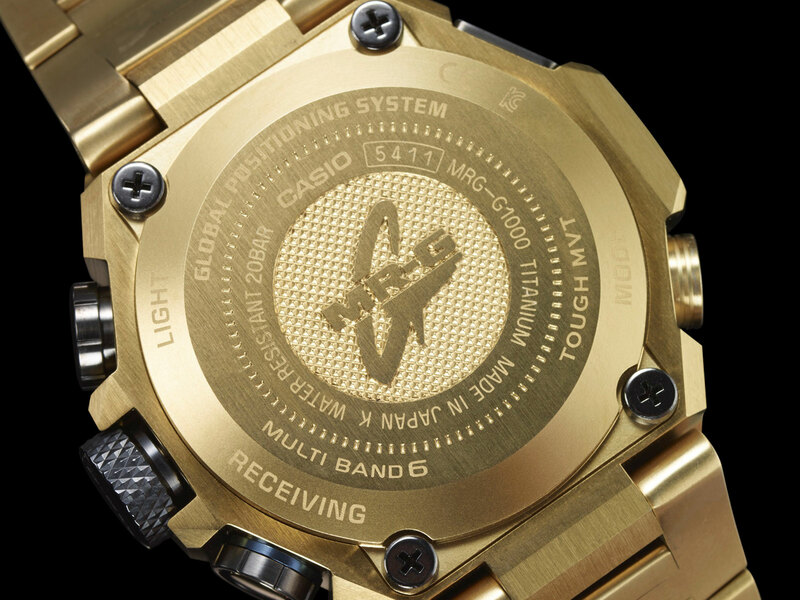 The case is 49.8mm in diameter and 16.9mm thick, while the functions include world time function, chronograph, countdown timer, alarm, perpetual calendar, battery indicator and backlight. 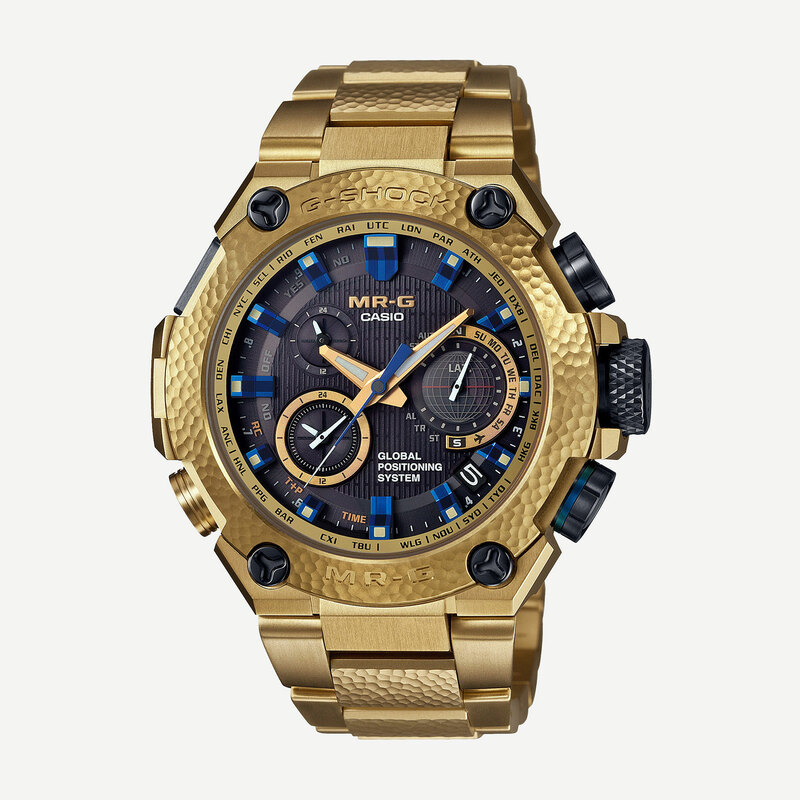 Limited to 300 pieces, the MR-G GPS Hybrid Gold Hammer Tone (ref. MRGG1000HG-9A) will be available starting January 2017, priced at US$6200, the same as the first Hammer Tone.